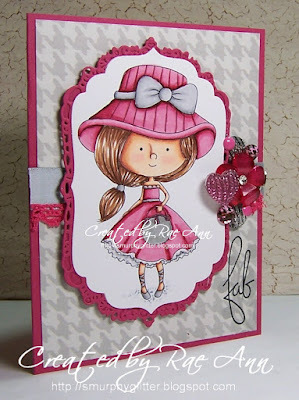 Good Morning and welcome to a new challenge here at Crafty Sentiments Challenge blog. 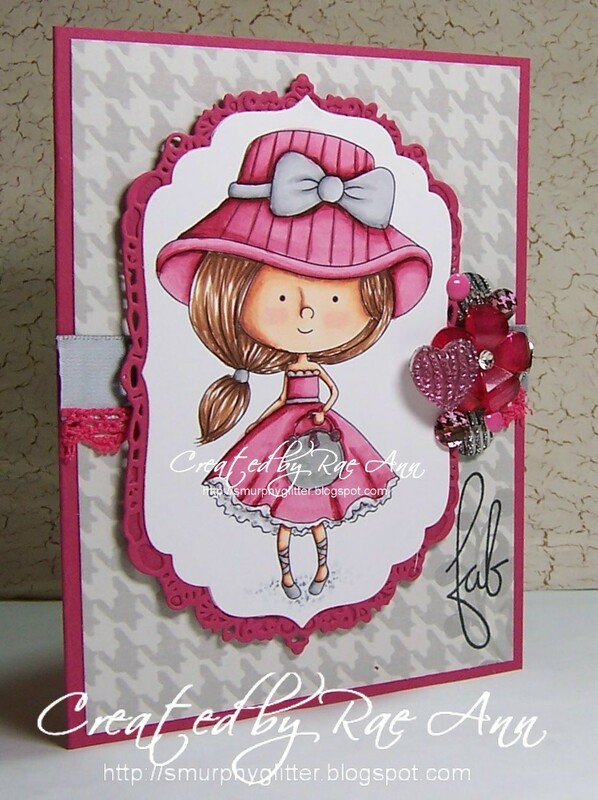 Your creations were all fabulous for our last challenge and we hope you will join in again this time. Starting with this week's challenge, our prizes are changing slightly and are now even more amazing! You will win 3 images if the winner used a Crafty Sentiments Designs image. 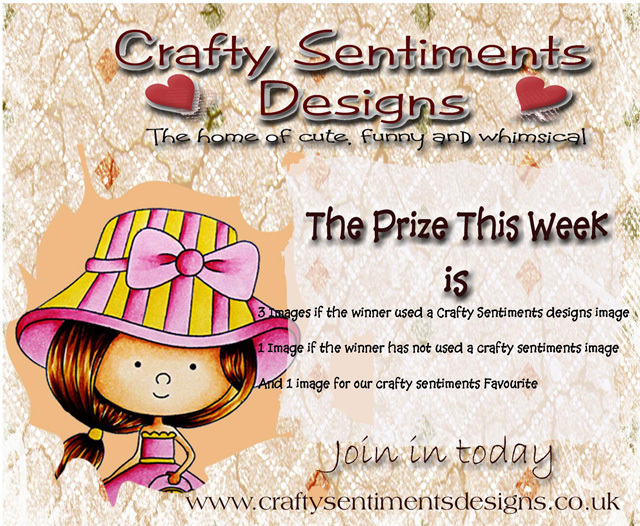 There will be 1 image only for a winner who has not used a Crafty Sentiments Designs Image. And our Crafty Sentiments favourite will also receive 1 image. The Design Team have made some fantastic creations to inspire you this week and you will find details of their projects by clicking on the name above the image. Aren't these all just fabulous creations? We do hope you will join us in this week's challenge and look forward to seeing your projects soon! 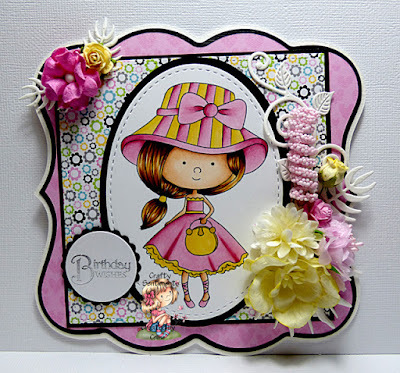 Very pretty DT inspirations and cute images! 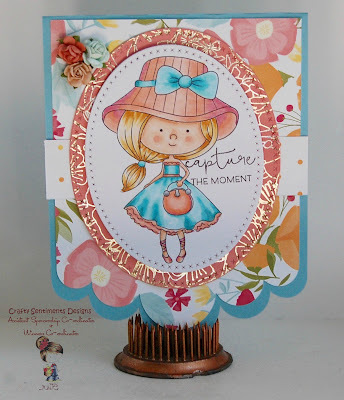 Lovely stamp and great DT inspirations.